It’s that time of year when the veggie plot is operating at full capacity and daily harvesting yields lots of yummy goodies. This year I have a number of heirlooms and unusual vegetables in my collection I am growing both for the table and for seed. A lot of these will be available later in the year to share and swap, although much is for the benefit of Garden Organic and the HSL. So, here’s a start. 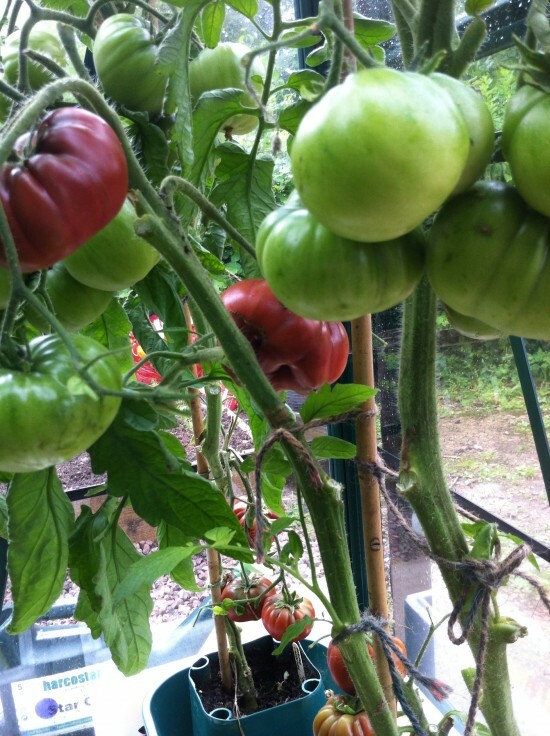 TOMATOES I was given some seed by a lovely Swiss collector of a green variety which when fully ripe has a yellow blush called Smaragd Apple. 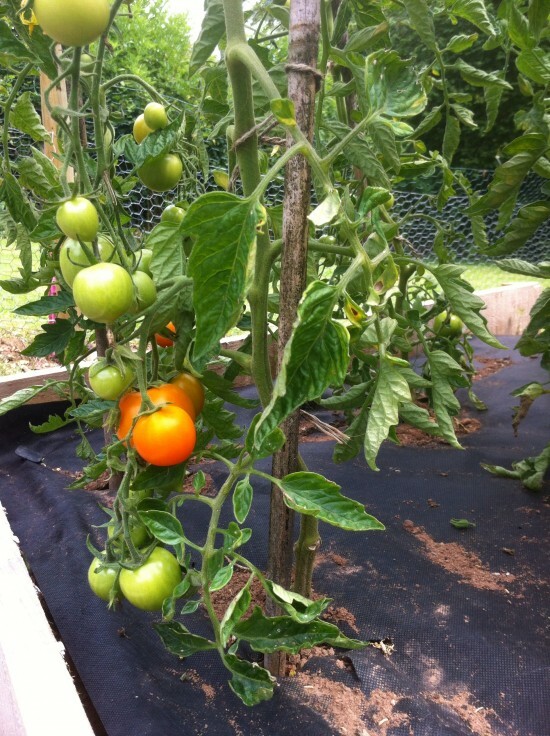 It is sensationally sweet when picked really ripe and a wonderful salad tomato. Another lovely eater is the American heirloom Purple Cherokee. 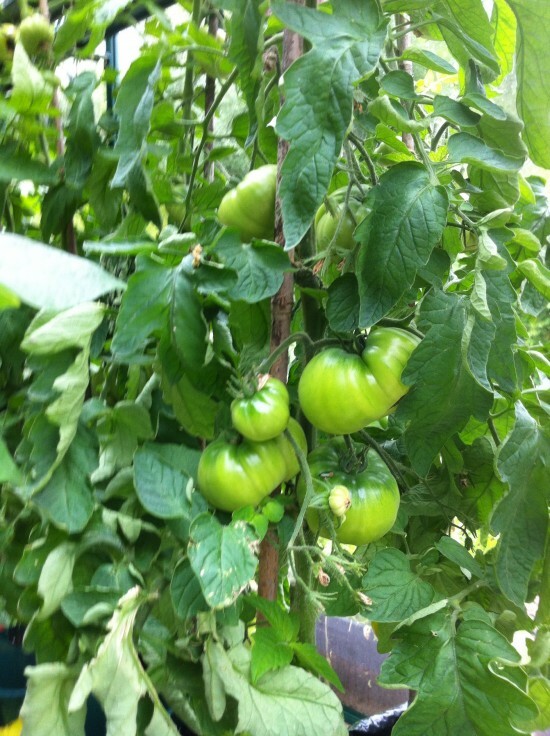 I am having success, probably due to a very warm July, with a very tasty outdoor variety Jaune Flamée. This photo was taken in July. 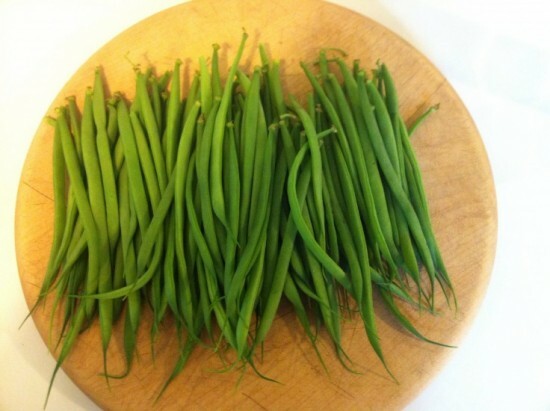 My absolutely favourite French bean is the HSL variety Emperor of Russia, which I have been growing for many year. The stiletto thin pods grow to 15cms or more but must be harvested before the seeds begin to swell otherwise they go stringy. I can harvest enough every other day right now to feed four hungry folk from just a dozen plants. they are unruly plants and require a web of string on short canes to keep them in order. 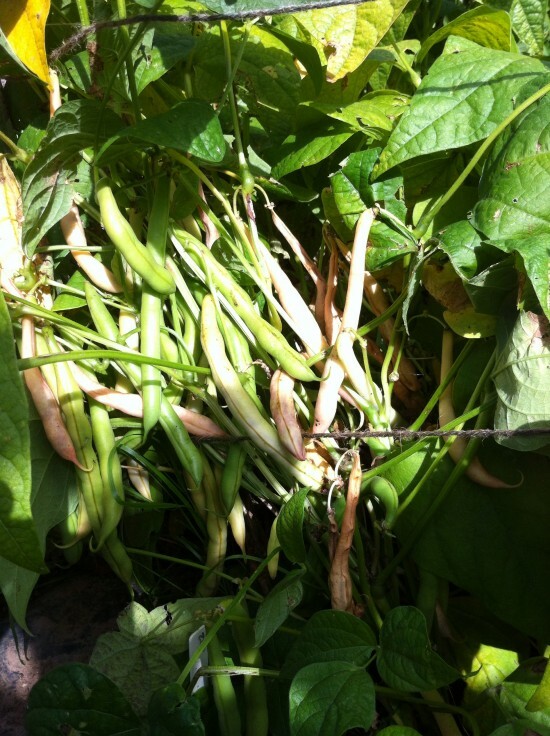 I am also growing an off-list dwarf French bean for the HSL called Fowler. It is a remarkable bean. 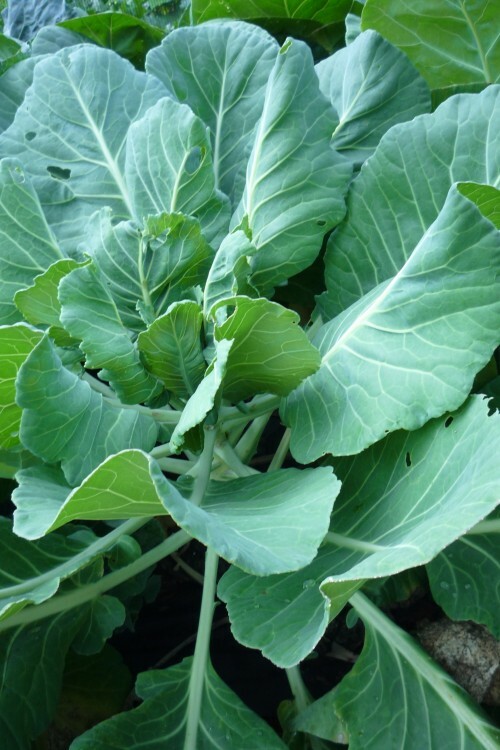 It can be harvested over a long period, remaining stringless for several weeks. very heavy crops as you can see. 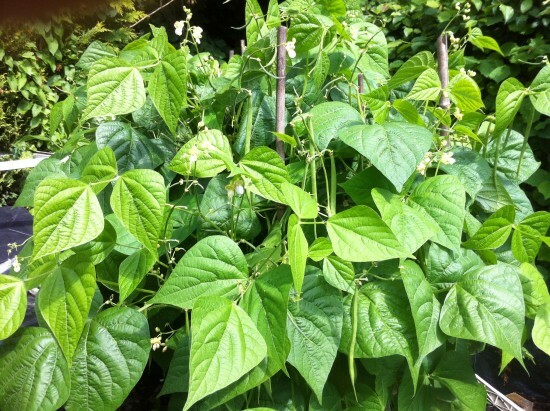 I am also growing a lovely climbing French bean for the HSL called Bonne Bouche. 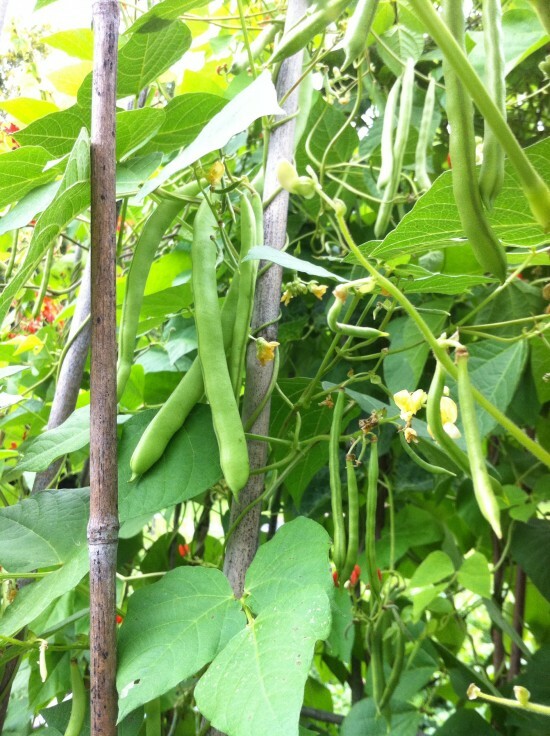 A very nice green bean which holds up well, it will be another month or so before they pods will be ripe enough to harvest. A lover of kale, I grow a number of different varieties but this year I am trying an orphan variety for the HSL, not strictly a kale but an open-hearted brassica from the USA which is home to the southern dish Collard Greens called Georgian Southern Collard. I will allow the plants to go to seed next year when the flower in the spring. Meanwhile, a few tasty leaves will be harvested through the winter.